Three-speed blowers are available in two models, are lightweight and feature plastic housing molded and designed to be easily transported with handle and also stackable allowing for convenient storage. CFM on high speed is up to 1888. 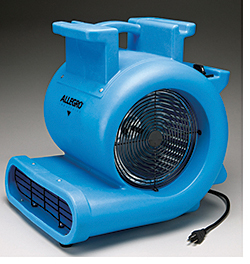 Many of the blowers include heavy-duty fan blades and are constructed from welded, rivet-free rugged steel or from corrosion-, ultraviolet-, and chemical-resistant polyethylene plastic.